The beaches of Bude have always been fantastic. Thanks to the work of local environmental groups (like A Greener Bude) with the support of the wider community, three of Bude’s beaches have been awarded a mix of the internationally recognised Blue Flag and Seaside Awards. We’re proud to say that Bude is home to one of just seven Blue Flag Beaches and three of 13 Seaside Award Beaches in Cornwall. 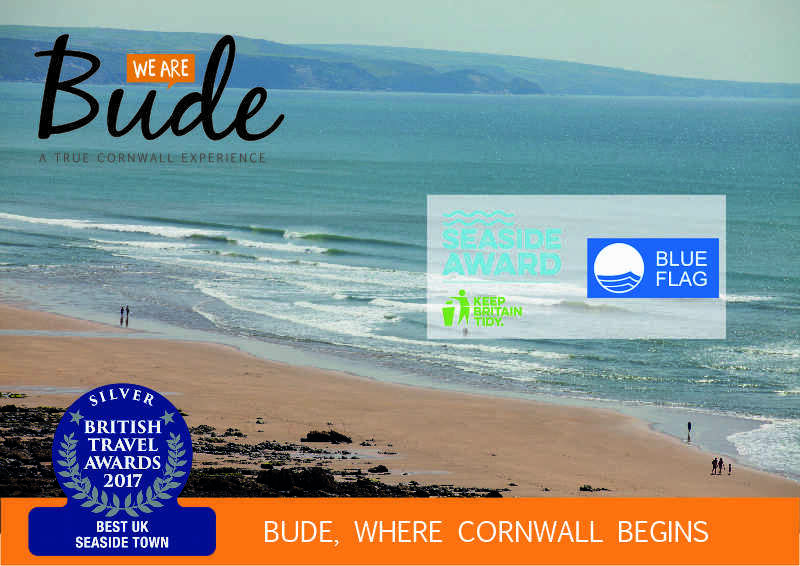 The iconic Blue Flags, an international quality mark for beaches, reassure visitors and locals alike that Bude’s beaches are clean, safe and recommended, boosting tourism, business and helping inspire return visits. Blue Flags and Seaside Awards are only awarded to coastal destinations that boast the highest qualities of water, facilities, safety, keep clean programmes, environmental education and management. Information about the Blue Flag must be displayed at the beach. The beach must achieve ‘excellent’ water quality as set out in the Bathing Water Directive. The local authority / beach operator should establish a beach management committee. The local authority / beach operator must comply with all regulations affecting the location and operation of the beach. Algae vegetation or natural debris should be left on the beach (exceptions apply). Bins must be available at the beach and they must be regularly emptied. Toilet facilities must be provided. During the bathing season dogs must be excluded from the award area of the beach. If appropriate, an adequate number of lifeguards and/or lifesaving equipment must be available at the beach. Information about the Seaside Award must be displayed at the beach. If applicable, information about bathing water quality must be displayed. A code of conduct, that reflects appropriate laws governing the use of the beach and surrounding areas, should be displayed. If appropriate, toilet facilities should be provided. If provided, the toilet facilities must be kept clean and have controlled sewage disposal. At resort style beaches dogs must be excluded from the award area of the beach during the bathing season. If a dog ban is not in force during the bathing season, a clear dog control policy must be in place before an award can be made. If appropriate, an adequate number of lifeguards and / or lifesaving equipment must be available at the beach. If appropriate first aid equipment must be available on the beach. The beach should be subject to an up-to-date risk assessment and any recommendations should be acted upon. Beach champions across Cornwall are celebrating brilliant news today as 13 prepare to hoist either, or both, a world-renowned Blue Flag or Seaside Award motif into the sky above their area. For the fourth year running, Rock-based Sharp’s Brewery has helped ensure that Cornish beaches are the best in the world, continually stepping up to ensure the county has more iconic Blue Flags and Seaside Awards, flying over the coastline, than any other part of the UK. Sharp’s sponsorship provides the funding for Cornwall Council to make the applications and work with the communities who deliver environmental initiatives, all of which make this fantastic achievement possible. In Newquay there is extra reason to celebrate as Great Western Beach has been awarded the world-renowned Blue Flag in a first for the popular destination. The beach champions here have also created the country’s only beach system that allows them to welcome dogs to a certain area of the beach, whilst ensuring the new Blue Flag area is dog free to comply with the required global standards. Surrounded by rugged wild beauty at its home in North Cornwall, multi award-winning Sharp’s Brewery is continually giving back to the coast that inspires its creativity, providing vital funding for the 2018 Blue Flag and Seaside Award applications, in Cornwall and beyond. Over £32,000 towards the costs of these applications, and other vital Blue Flag related projects, has been provided over four years as well as other related programmes such as BeachCare’s Beach Battalion squad. The iconic Blue Flags, an international quality mark for beaches, reassure visitors and locals alike that Cornwall’s key areas are clean, safe and recommended, boosting tourism, business and helping inspire return visits. Blue Flags and Seaside Awards are only awarded to coastal destinations that boast the highest qualities of water, facilities, safety, keep clean programmes, environmental education and management. 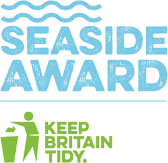 Keep Britain Tidy, the organisation responsible for the awards in the UK, today (17th May 2018) announced that 13 beaches in Cornwall have been awarded either one, or both of the status marks. These include 13 Seaside Awards and seven Blue Flags, making Cornwall a great destination for beach goers and ocean adventurers to visit all year round. Some beaches have received both Blue Flag and Seaside Awards to achieve this number. Thanks to all the hard work of the local beach champions, Cornwall Council and the funding from Sharp’s Brewery, the iconic Blue Flags, and Seaside Award flags, will fly over Gyllyngvase in Falmouth, Porthmeor in St Ives, Polzeath, Porthtowan, Widemouth Bay, Trevone Bay and now Great Western in Newquay. Porth in Newquay, Summerleaze and Crooklets in Bude, Perranporth, Porthminster in St Ives, Sennen Cove and the Blue Flag winners have been awarded Seaside Awards again this year. Sharp’s Brewery has also been supporting a brand new initiative in collaboration with Universal Record’s Mercury KX label through sales of its Atlantic Pale Ale. Empowering the ocean to fund its own survival through the creation of ‘Keynvor (meaning ‘ocean’ in Cornish), a recording artist. Keynvor’s debut single ‘Preservation’ is a collaboration with upcoming artist Sebastian Plano. Every stream of Keynvor raises money to protect the Atlantic coastline, with royalties going to Cornwall based charity, Surfers Against Sewage.